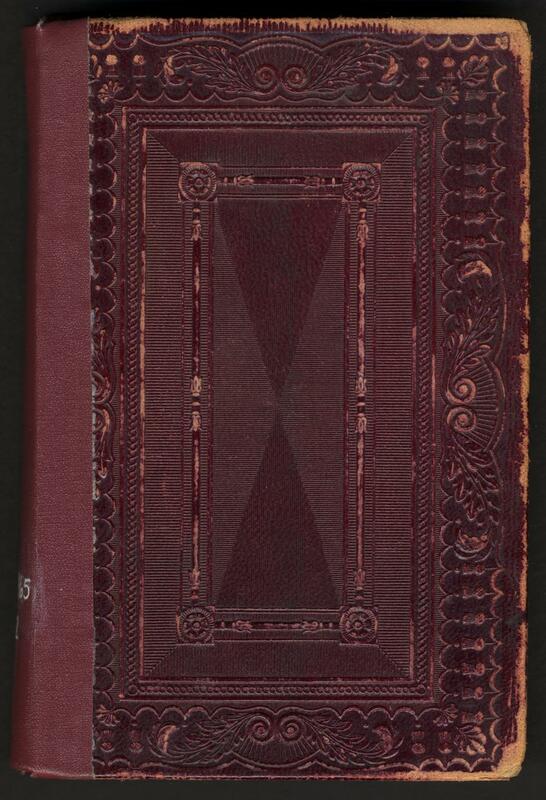 Purple leather with binding tape on spine. Blind stamping on front and back. No decoration on spine. Endpapers coated yellow. All gilt. Book topics: Gift books; Christian literature, American--19th century.